A Bit Of . 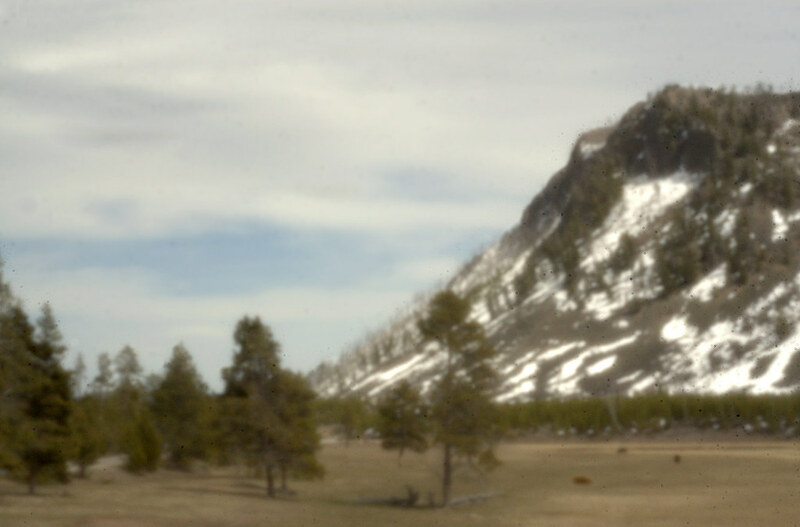 . .
Bison Graze At The Foot Of National Park Mountain. 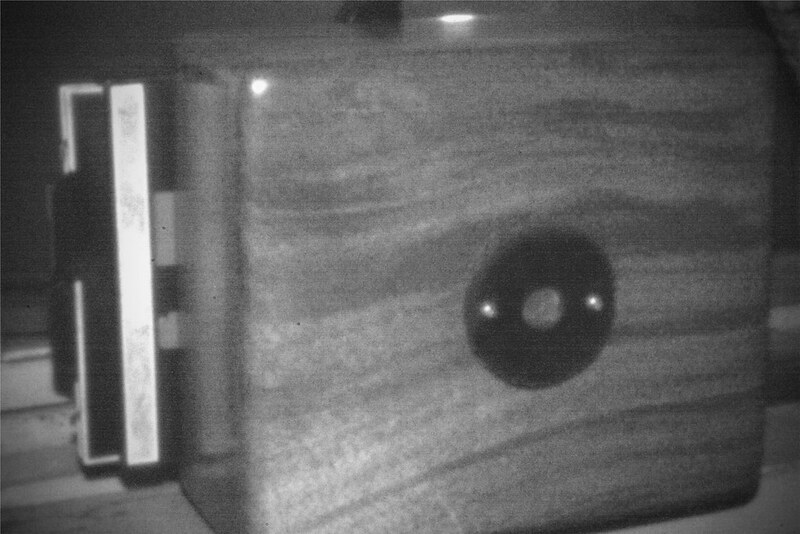 Pinhole Image. .. As we await the coming high water induced by our warm days we pause to ponder the upcoming onslaught of fishers and the introduction of the latest and greatest flies to fish with. .. The innovations of our species, and the creativity of our minds will not be stifled. New materials, new techniques, new visions, new flies; such a bounty. This sort of contemplation leads to a seminal question: "Why are there so many flies?" .. And the fruitful answer: "Because they all work!" 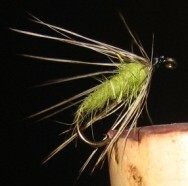 Since the fly fisher of today is trapped by the unwavering belief that newer is better there will always be new flies. And they all will work. .. Read the blogs and verbiage of the feather merchants and their advocates. They capture us with an appeal to the inventive and adventurous side of our mind. .. This year's new flies will also appeal to our aesthetic core. They are cute, killer, sophisticated, simple, awesome, outrageous, stupendous, and sometimes - even effective. .. We look forward to reading about, hearing about, and seeing all the new flies. They are wonderful. We enjoy the virtues extolled in conversations and rants at the pub and at river's side. We don't participate much. We still fish a Scarlet Ibis, a Professor, a Dusty Miller, a Black Dose, a Lead Wing Coachman, a Royal Coachman, and a Feather Duster. We fish them because we like them. They are friends from our personal and collective past. They catch fish too. .. Maybe we're not creative, adventurous, or innovative. We probably have no aesthetic sense. We certainly can't afford a new assortment of flies every Spring. Old Fartism is a comfortable joy, and does have some rewards. 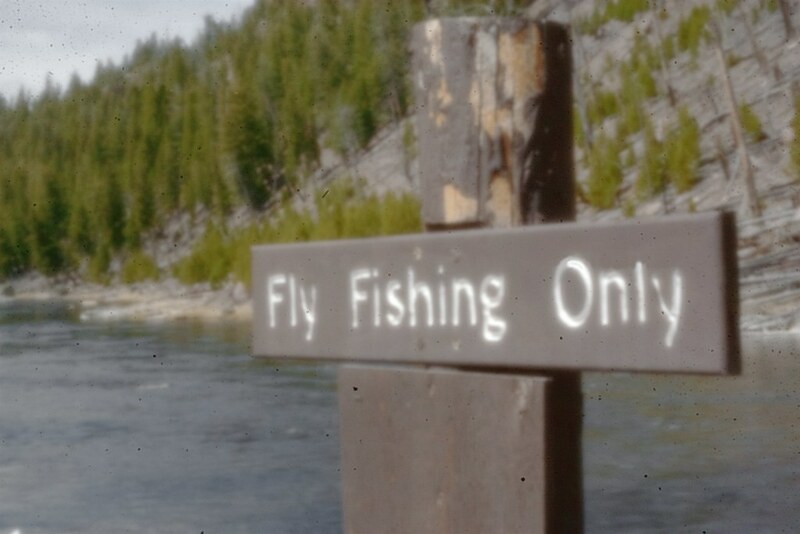 Pinhole image of sign on the Madison River. Sensor dust and all! .. For the moment, we have dispensed with the arcane accouterments of fly fishing for the even more tedious tools of pinhole photography. .. The slow pace, deliberation and preparation is, on occasion, good for the soul. .. Be it a digital sensor, film, or paper that is exposed, the image is soft and often ethereal. Certainly it is not in keeping with the contemporary aesthetic of super sharp, violently colorful, and post processed to the point of crisp sterility. 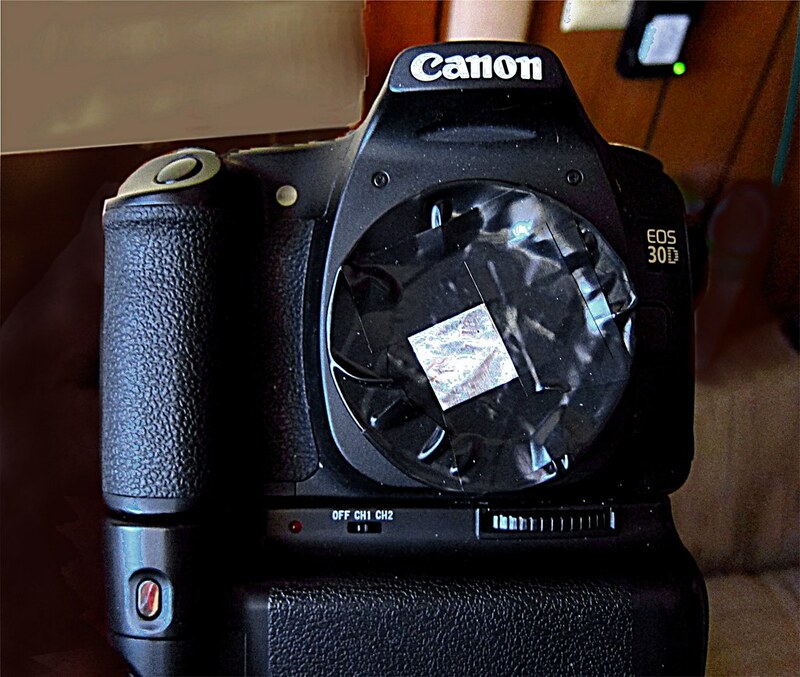 4x5 pinhole film camera. Photographed with a pinhole camera. .. Recognizable images of social events are produced and cherished for their spontaneity, crooked framing, soft focus, and idiosyncratic nature of poor or shifted colors. .. For many aficionados the images are far more engaging than the postcard sterility of most of contemporary photography. .. Perhaps it's not too surprising that some of the same things that attract some people to fly fishing also attract some of them to pinhole photography. .. No matter how good the caster of the fly, there is a certain indeterminacy about it's landing and result; the same for pinhole photography. No matter what the speculation about the fish on the end of the line, the same indeterminacy exists until it is landed; the same for pinhole photography. Etc. .. Pinhole photography is frequently dismissed as: faux photography, gimmicky, diffuse, ethereal, poorly focused, or aimless - so too fly fishing. .. For now, we're continuing our exploration of the technique. 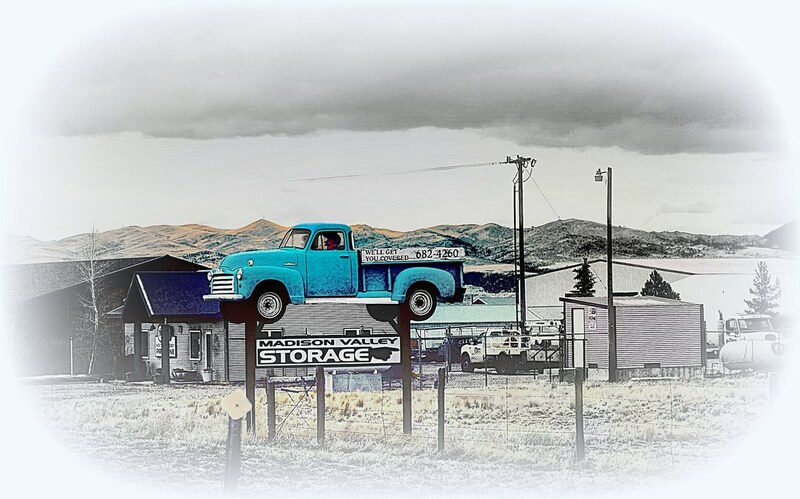 We've dabbled in it, (and fly fishing,) for over half a century - no need to stop now. 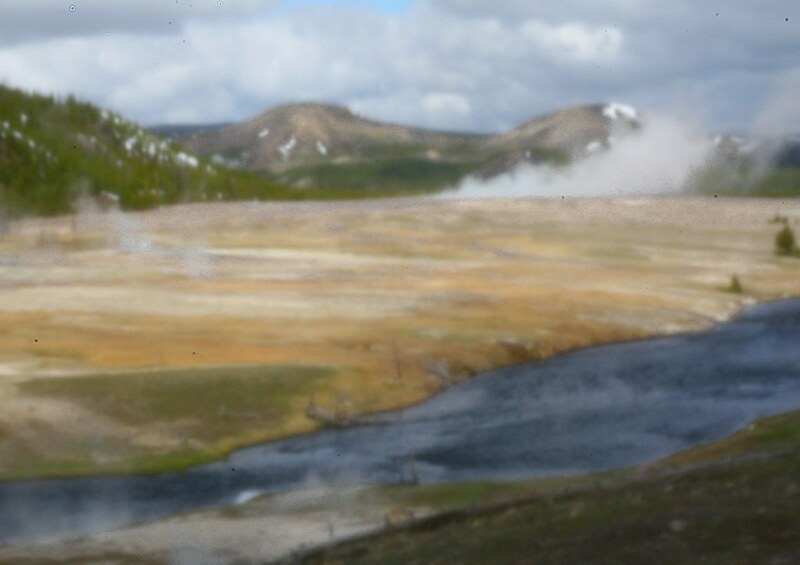 Firehole in Midway Geyser Basin in Yellowstone National Park - Pinhole Image. .. As winter's mantle lifts from the west side of Yellowstone National Park the waters look the very same as we left them - but different. .. A couple of snags have shifted slightly, some banks have fallen in. a tree or two has been uprooted, a thermal feature has encroached into the Firehole River, and not a few boulders are in different places, OR GONE. Yet, on the whole, it's comfortably familiar. .. Spring, so far, has been cool and the waters are clear. 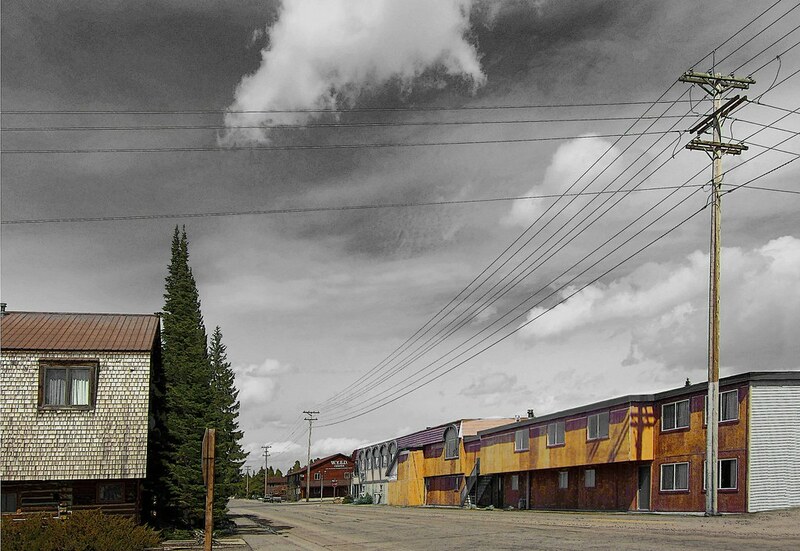 Visibility is easily as much as ten feet on the Firehole River. It's just a little less on the Madison River, and maybe just five feet on the Gibbon River. .. As the weather warms changes will respond to the increased flows and there will be more to note. Already there are changed weed beds and new sand bars. The dynamics of the rivers ensure that change will be constant. Over the long winter the changes are are noticeable, but boarding on the insignificant. On a day to day basis they often go unnoticed. By the time a decade or two has been tucked under our belts, (if memory serves,) the waters are new and fresh and foreign. 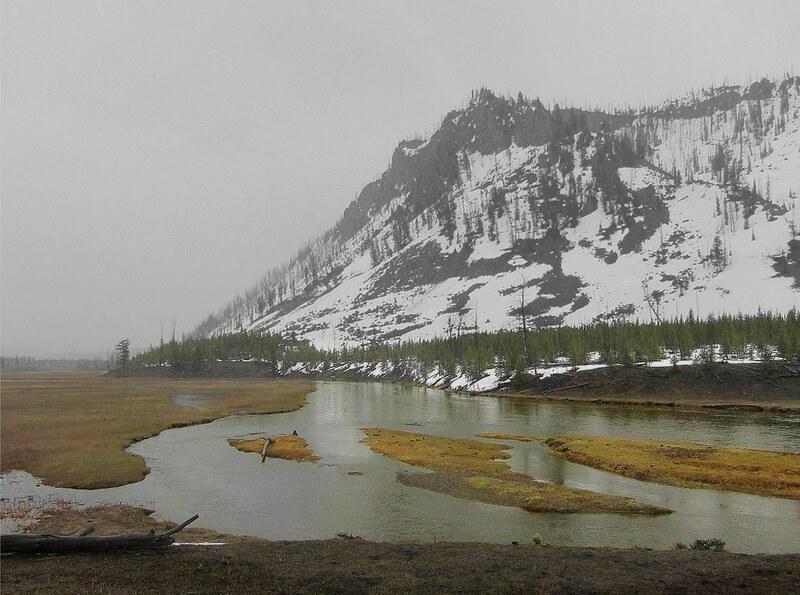 .. We spent the weekend, on and off, cruising around the west side of the park.The low snow pack has given us access to the water's edge in more places than usual for this early in the year. Green is already spreading along river banks at the water's edge. The Artemesia, never completely buried in most places this winter, is already past the gray-green stage and moving toward the light olive color of Summer. .. Fish were rising along most sections of the rivers. Midges and some big mayflies were on the menu. We watched for quite some time as the Spring Smorgasbord was devoured. The bugs seem bigger and earlier than usual - but then we wanted them to be. .. 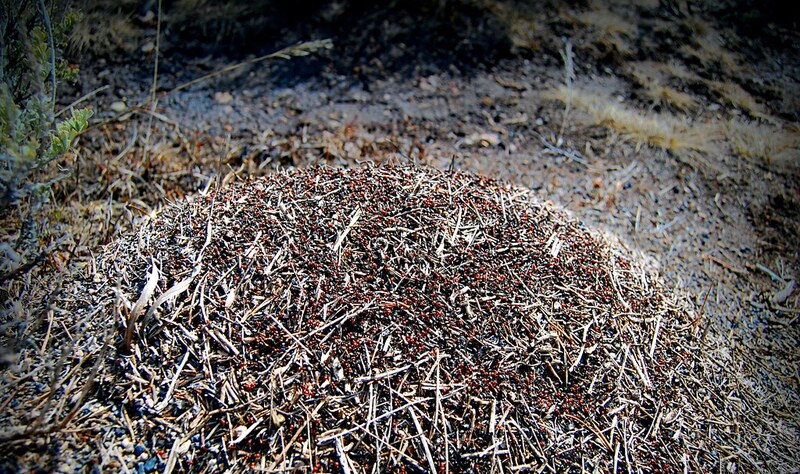 The two-toned ants have already built hives as tall as a foot and two feet in diameter. Blue birds and cranes have taken up residence. The geese have consorts and some have nesting spots. 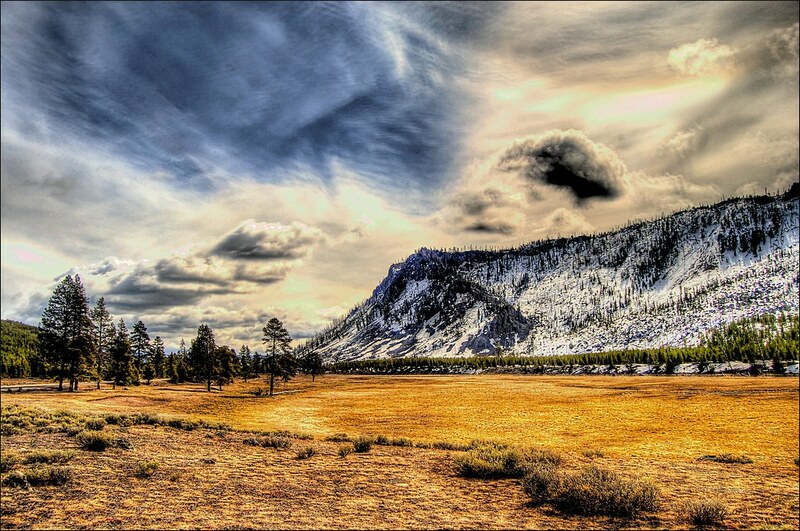 As cool as it's been, Spring seems well along on the west side of Yellowstone National Park. .. 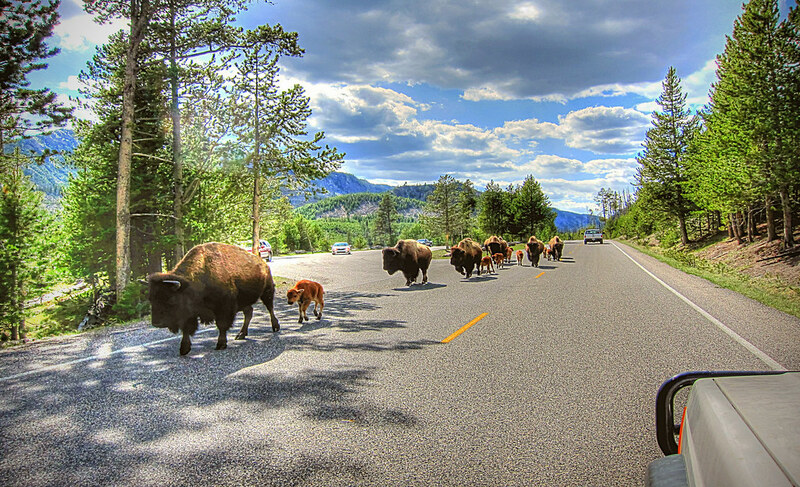 The bison have moved down to the fresh blades of grass along the roads and out to the periphery of Hebgen Reservoir. 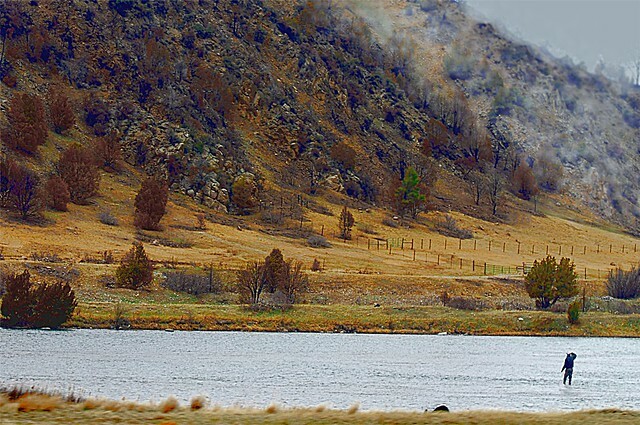 The sparse herd of elk is loosely scattered in the yet unflooded meadows along the Madison River. They look good with very few ribs showing. .. Eagles and the first of the pairs of ospreys are already in place. No robins yet. very few visitors as well. The raimbow of spandex has sprouted and bicyclists are as numerous as the cars - more so perhaps. .. We'll keep an eye on the park waters for the next month or so and then go a catching: runoff permitting. 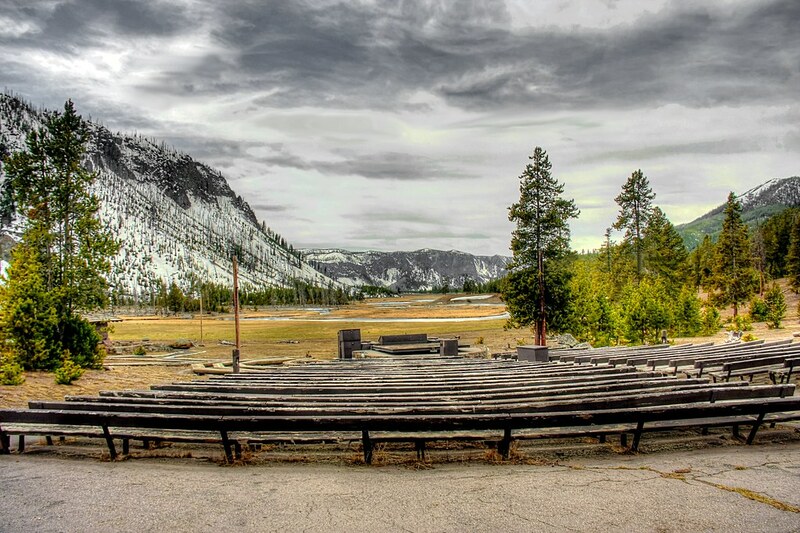 .. We're in Yellowstone National Park for the next three days. Checking on the waters - they're still there. .. It's tough work but we're compelled to do it. Reports as time allows. 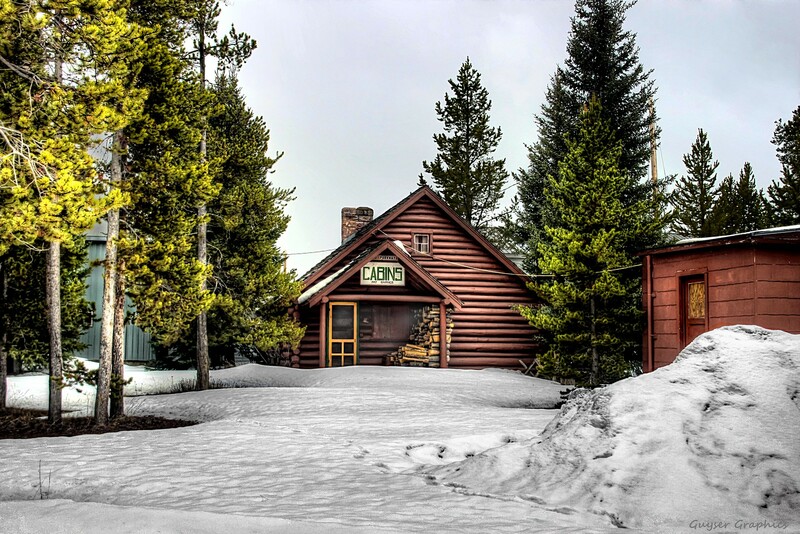 .. Due to low snow and a warming trend in the weather, Yellowstone National Park will open the roads on the west side of the park on April 19, 2013. That's a week earlier than previously scheduled. To say the least, we're pleased. Fishing is starting as regularly scheduled. 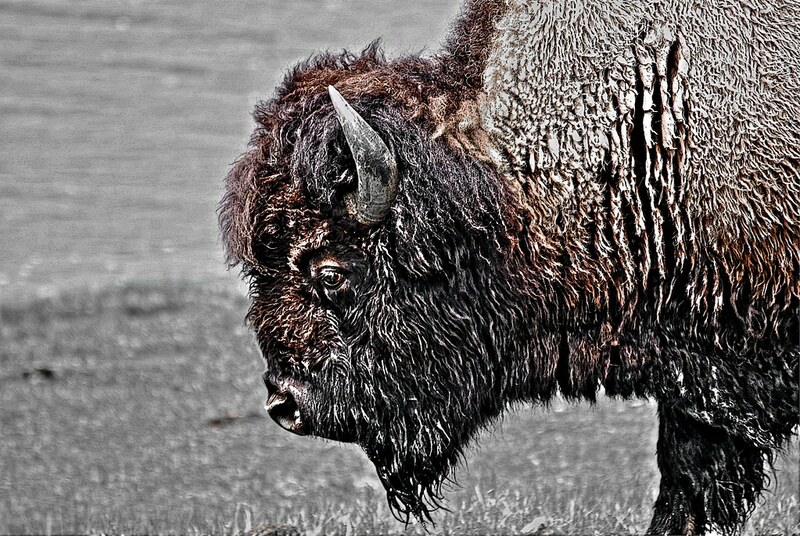 .. Expect some rain and snow and hail, and wind, and bison, and elk, and bears. It should be grand. .. Restrooms will be open. Pay at pump gas at Old Faithful. Regular services, (such as visitor centers, etc.) begin on or about April 26, 2013. If you have a large screen you can read on the sign who once lived here. .. Estuary fishing is good: estuary catching is great. Those with the guts get the glory. 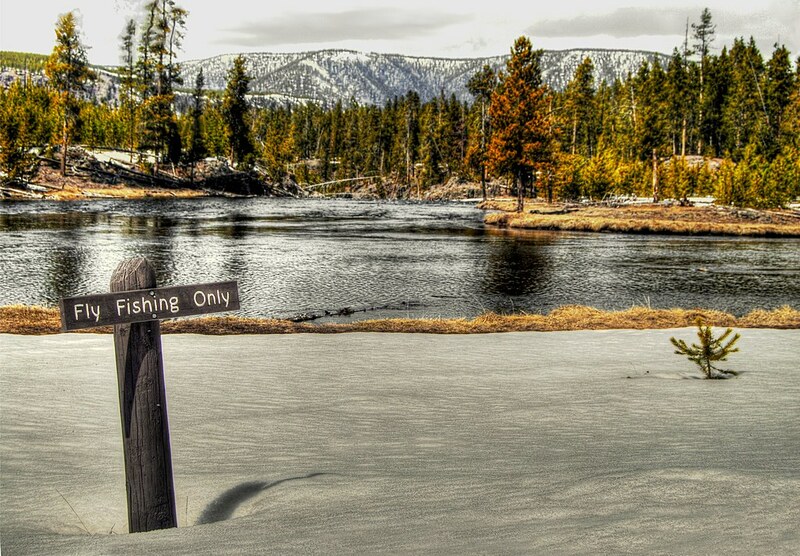 A bit of local knowledge and a willingness to post hole, snowshoe, or ride a sled to the open waters will yield some of the best catching ever. 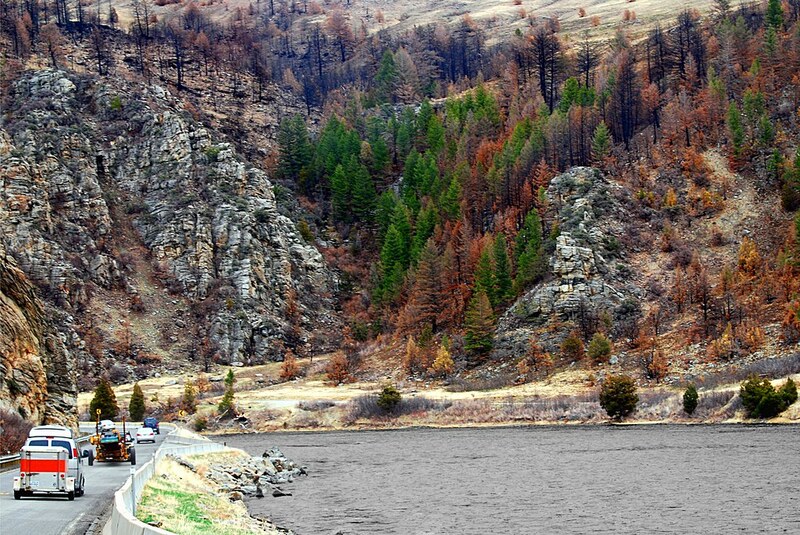 Hebgen Reservoir is the destination of choice for many of the neighbors. Ice out is not officially here but the expanding tributary estuaries are giving it a nudge. .. Some neighbors are exercising their petrol ration and visiting the lowland Madison River, Missouri River, Yellowstone River, and Big Spring Creek. Lowland fishing and catching is in full swing; as it were. Check the sidebar for links to the reports of folks already deep in Montana's waters. .. 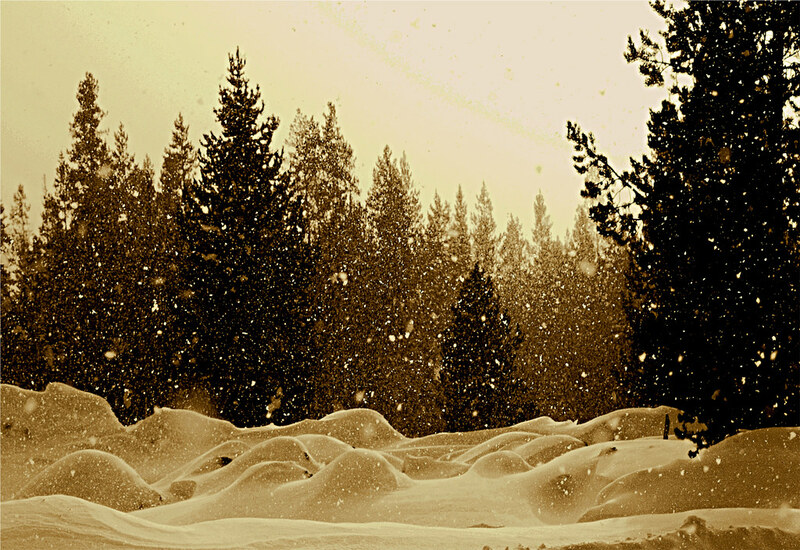 The weather has given us everything from wet snow to hail. A bit of rain and some graupel always keep the mix interesting. The fish don't seem to mind: the fishers usually do. 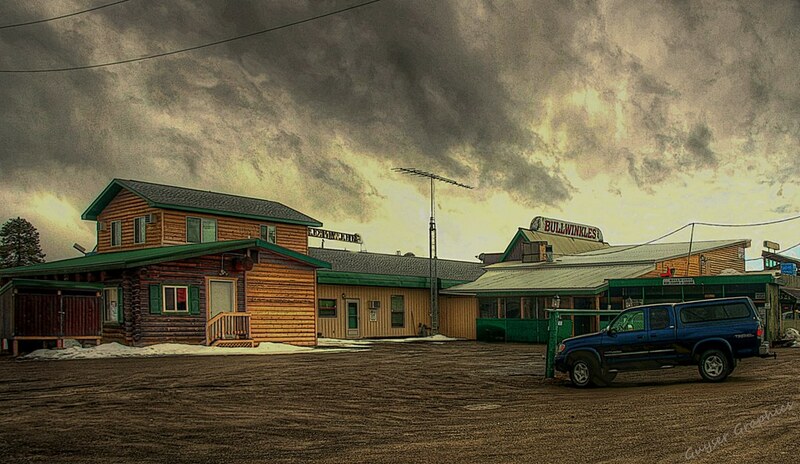 Rare, however, is the empty pub parking lot syndrome. Folks have bailed out of town with a whoosh that was heard as far away as the Varney Bridge. .. Up here it's still midge time and the fish are enjoying it. The bright, dead still, gentle snows of mid day are perfect times to tie on a midge pattern. .. Some of the "REVERSE" midge emergers from across the pond have been used by the world traveliing fly fishers in the neighborhood. You'll have to tie them yourself - no local feather merchant has them at this time. .. 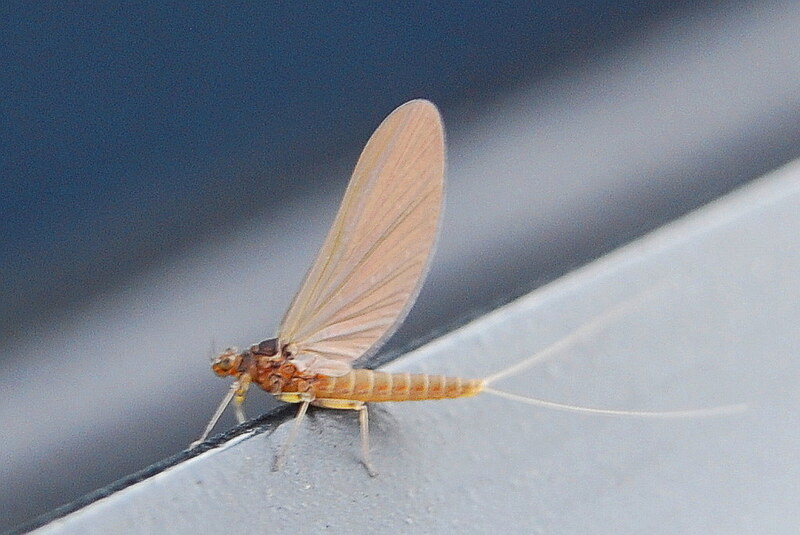 The midge is a staple of the trout in many areas - not the least of which is the Madison River tailwater, or the edge of the weed beds in the just now opening estuaries.. The wonderful video by Ralph Cutter, (below,) is highly instructive for fly fishers that wish to indulge themselves in this sublime form of torture - and exaultation. .. 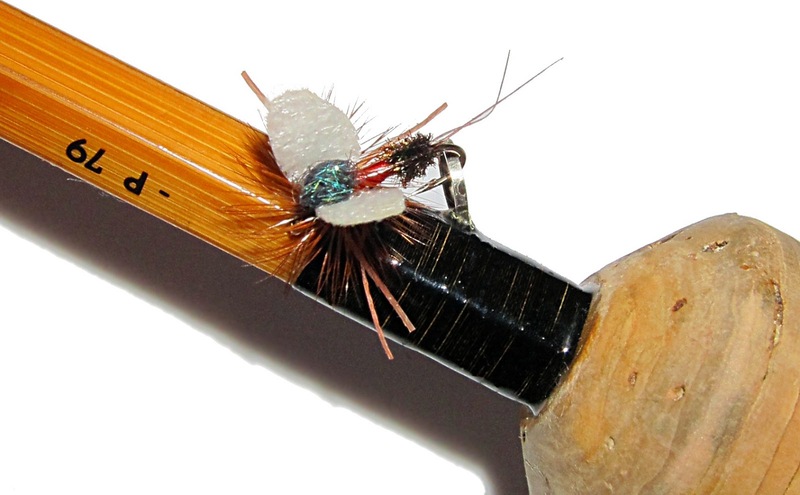 If dinky flies are not your cup of hooch, try some streamers. 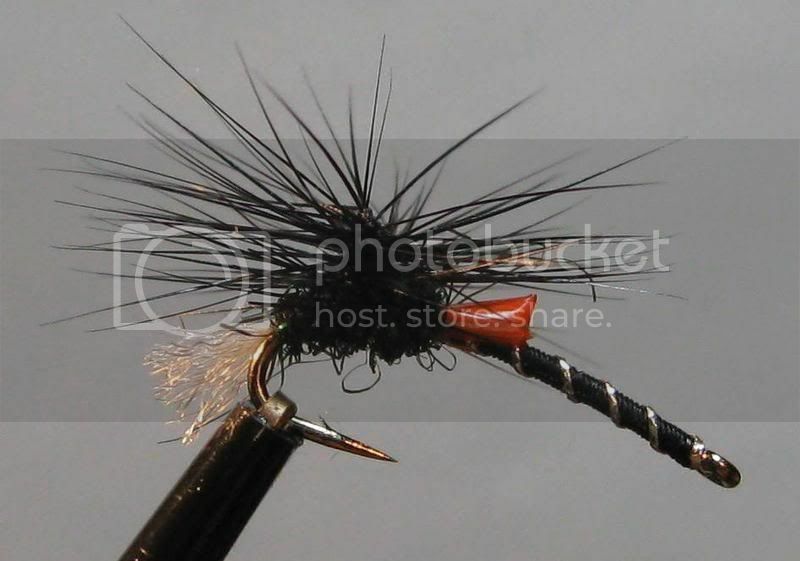 The ones with a stinger hook seem to be becoming fashionable right now. There may be something to it. Little fish nip at the tails of their food. Big fish attack the head. 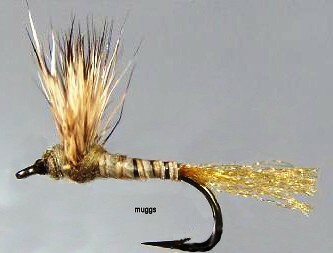 If you'd like to hook up with a small 16" trout for a dance or two try a streamer with a stinger hook. If you are looking for normal sized fish stick 'em with a traditional streamer. 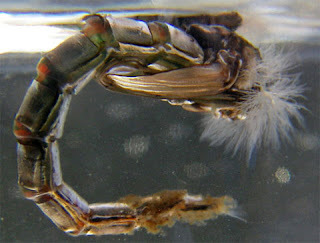 .. Stinger hooks are a staple of salt water fishing but seem to have never caught on with the inland fly fisher. 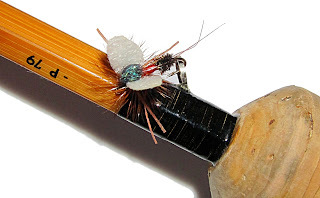 .. One of the best in our region is the SCLEECH, that has been tied in Gardiner for a long time and is now available from the MONTANA FLY COMPANY. 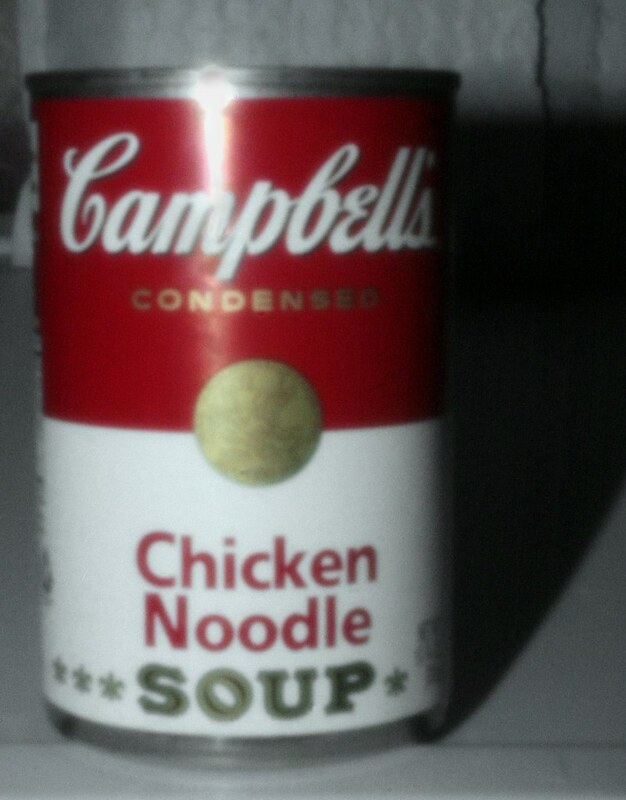 It should be available at a retail feather merchant near you. .. It's not our practice but, some of the neighbors fling a streamer toward the over-sexed trout and aggrivate them into taking the offering. Some very big fish are stuck this way. .. The outlet of Quake Lake is ice-free and access through the boulder field is negotiable by younger legs than ours. .. The Devil Worm and it's relative the GOB 'O' are each being used currently, with more than moderate success, at the edge of the ice at Quake Lake, both at the outlet and at the boat ramp near it's head. .. That's it for now. We're headed to an empty parking lot that we know of. .. The water is "too cold." So goes the expert wisdom. It just may be that the weather is not sweet enough for gentlemen fishers. 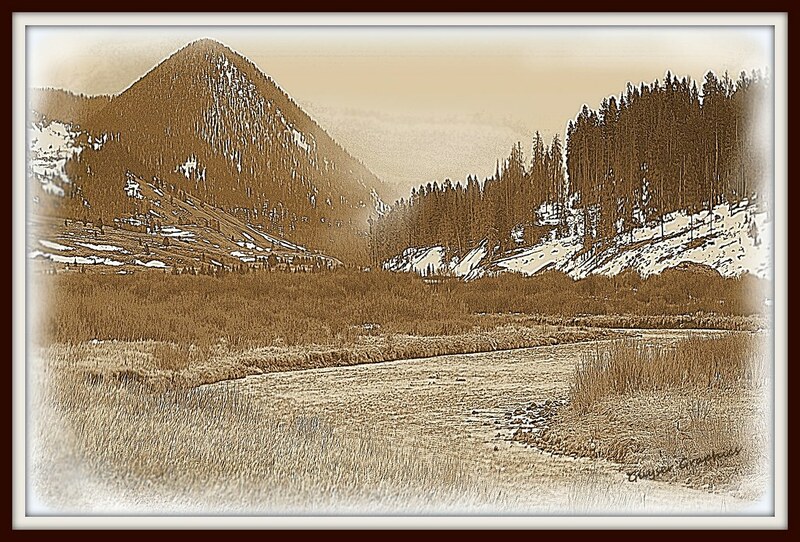 .. Granted, the fishing high up the Gallatin Canyon is not as easy or attractive as it is down low near Gallatin Gateway. It is, on the other hand, an hour closer to our front door. .. 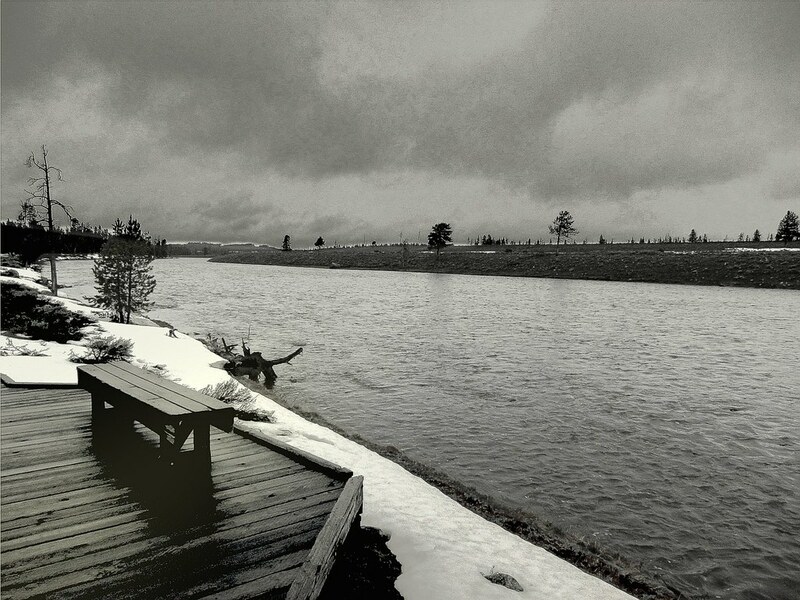 The snow of the last couple of days has served to reduce early fishing pressure on the Gallatin River. The fish seem to be a bit less cooperative as well. .. Subsurface attractor flies are the choice of the neighbors. A few large nymphs are also in the fly box of the brave fishers in the neighborhood. .. Most of the catching activity starts immediatly north of the northern boundry of Yellowstone National Park - right at Snowflake Springs. .. Catching along the upper portions of the Gallatin River requires a tedious persistance for covering every inch of water. The fish are there but they are not moving rapidly or with much gusto. "Hit 'em in the nose," is the manditory technique. .. Along with the Yellowstone Sally a whole stable of Prince Nymphs is being used at the moment. The King Prince is a favorite with some folks down toward Big Sky and has made inroads into the psyche of some of the folks up here. .. Soft Hackles and Stiff Hackles also are getting a workout in the frigid waters. It looks like the trout are living up to their press clippings and are chomping anything that drifts by - within easy reach. .. For an excellent overview of the varieties of Prince Nymphs check out the PRINCE NYMPH PAGE at Fly Fishing The Sierra. .. The tedium of cold water fishing in blustery weather with snow blowing into your eyes and nose and ears is not for the faint of heart. Braving the delays of road construction and the wreckage of disasters is a chore in itself. But if you need to catch a fish or two it is worth it. is it the fish or the bug ? .. It's interesting to listen to fly fishers explain the behavior of trout in terms of fly selection, weather, time of day, current observed hatch, current not-observed hatch, depth of water, color of water, temperature of water, cloud cover, sunshine, and an additional bucket full of factors external to the fish that they are trying to catch. .. "It's the wrong size fly," "It's the wrong fly pattern," "He spooked because of my pink shirt," "The sun is out so we won't catch the big ones," and dozens of other seemingly rational reasons for failure. The same can be said for the reasons for successes. Most interesting indeed. .. Fly fishers pretend to know what makes a trout behave by referring to everything but the trout. Perhaps they want to fail. Perhaps they think that knowing what is in the mind of a trout would make things too easy in the catching department. .. Indeed, catching has been so easy over the last few days that we've actually become bored with the fishing. 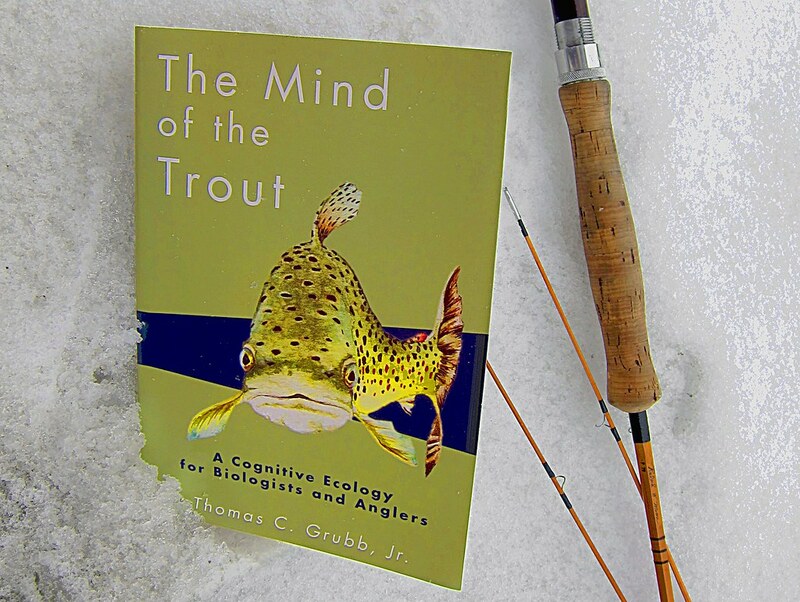 We grabbed and re-read this book by Thomas C. Grubb, Jr. just to see if we could figure out what those dozens and dozens of trout could have been thinking. .. Cognitive ecology integrates what we know about the trout brain with, trout sensory functions, trout perceptions, trout learning, and trout memory, within an environmental, social, and psychological context, to arrive at what we know about the trout decision making process. .. It's disappointing for many fly fishers to learn that their precious fly patterns are only a very minuscule part of the decision process that goes on within the mind of the feeding trout. .. Please note that the mind of the trout is not the brain of the trout. Keeping our attention on this is useful when dealing with fish and humans, as well. .. Right now, on the lowland Madison River, the thinking trout is eating a variety of lures, and flies, and bait. The un-thinking fly fishers are attributing their catching prowess to a series of factors outside of, and apart from, the fish that they are catching. .. 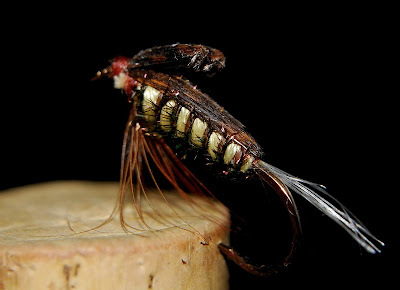 Hot topics in local, (and lowland,) pubs concern themselves with the right midge pattern, the right color for skwala flies, or the correct size for the observed mayflies. .. No one seems to be talking about the river current's velocity and drift feeding trout. We've not heard a single word about the geomagnetic orientation of trout in a stream adjacent to massive volcanic lava formations. .. We hear discussions of success based on "my secret pattern," but not that the trout has learned which patterns allow it to better perceive speed in the water. .. There hasn't been a whisper heard, (by us,) about the Spring learning curve of trout and their selection of foods - available or not. Who among us describes the feeding behavior of our neighborhood trout in social or psychological terms? .. It is particularly pertinent right now on the Madison River, the Gallatin River, Big Spring Creek, the Yellowstone River, and most other rivers experiencing the early Spring trout activity. .. Spring time social behavior, psychological adjustment, and feeding strategies are intricately interwoven at the moment: thank you Professor Grubb for showing us how this works. It helps explain much, and now we know where to fish and not catch any fish - with either the right or wrong fly pattern. .. There is quite a bit of learning going on within the mind of the thinking trout in our rivers. Habituation, persistence, attention span, forgetfulness, and other phenomena are at work in the learning curve of the trout in our rivers. My, my, my, look at how the fish conform to scientific explanation. .. We often hear expert fly fishers talk about the "pea-sized brain" of our trout. Truth be told some are larger and some are smaller. However, there is room in those brains for both short term and long term memory. And each of these sorts of memory apply to different perceived phenomenon - for different lengths of time. Now that explains quite a bit. And we now know what sorts of behaviors we can indulge in while catching. These fish have the equipment to perceive light, mechanical stimuli, odor and taste molecules, and electromagnetism. Such internal factors as endogenous rhythms, hunger state, and hormone levels influence their responses to these environmental stimuli. Perception and attention partially dictate what trout react to in their surroundings. Learning and memory furnish stored information that the fish integrate with current sensory input to control their behavioral responses. .. So the next time someone explains to you about the sure-fire way to catch trout on a stream, it might serve you well to ask what they know about the trout. 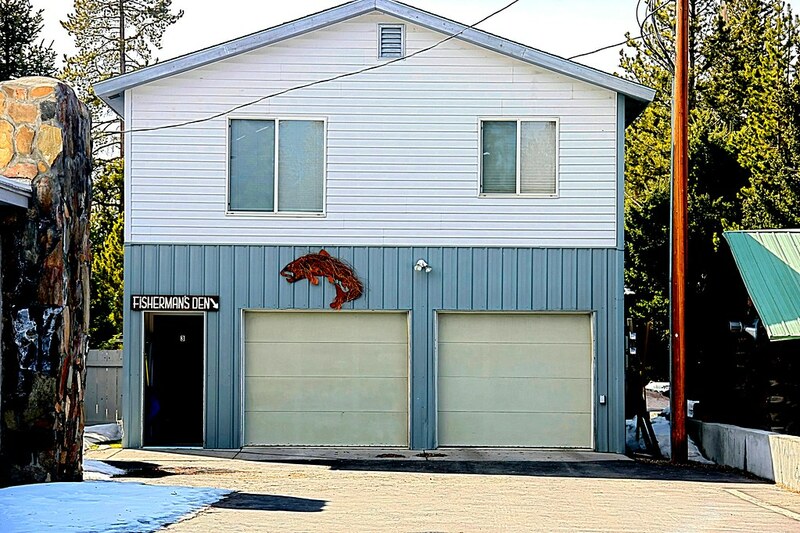 When was the last time they fished the place they are telling you about? How hungry are the trout? What are the light levels in the stream and the current state of sand grains and pebbles grating against boulders? And, by the way, what are the current endogenous rhythms contributing to the feeding state of the fish? Are you sure that is the right fly pattern? .. And, also, about that pea-sized brain: parts of it seem to grow in size and then diminish in size as the mind has need of different functions. What brain parts of the local trout are currently in the ascendant state? Aha, now we know all about the wrong fly pattern catching all those fish. Try that over the next brew at the pub. Or try it while you listen to the experts expound. Or check the printed word. Although suggestions abound for what artificial lures an angler should use under what conditions, few or none of these claims are based on experimental records. Most seem to be somewhere between witchcraft and snake oil. 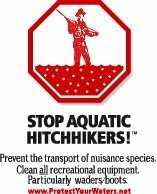 But, then, those promoting the use of one fly or another are often attempting to catch anglers, not trout. .. This is hardly a book review. This is just a note to mention that a decade after this book was published it still has much to teach anglers. Sadly, it is not a book found in the libraries of most fly fishers. Not surprisingly, it's probably not for sale at the local feather merchant in your neighborhood. After all why talk about the fish - they can't be sold, unlike the latest magnificent material, or catchy color, or nifty hook design. .. We all know that fly fishing is about ethereal feelings of connection with exotic flies, fancy gear, escapism, and our surroundings. Poetry abounds in fly fishing. We like it soft. We certainly don't want to know about the fish. That would detract from the rods, reels, lines, leaders, waders, flies, and pastel pink shirts. How dare one wax poetic about the psychological role of pods of fish and their learning curves in the Spring? It's far more satisfying to extol the virtues of a fine cast into the wind on a raging river with a massive fly and an under weighted rod and line combination. .. We are now on the hunt for a place where the fish . . . . . Thank You Professor Grubb! 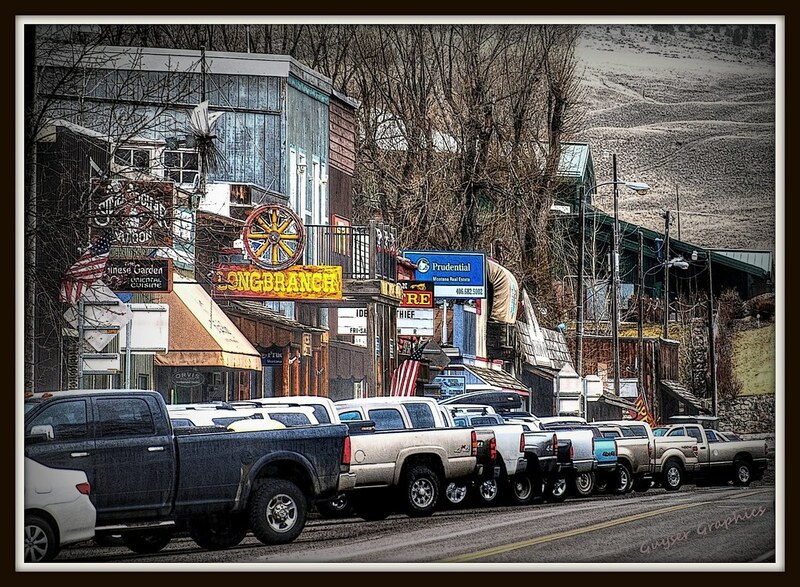 FLY SHOP SURROUNDED BY PUBS AND PICKUPS - HEAVEN? .. It's impossible to live in the high country and not envy the length of water-time availble to lowland fishers. We have heard rumors of the fun to be had: we went to investigate. .. Right now the open portions of the lowland Madison River as well as the Gallatin River below Big Sky are providing storybook catching. 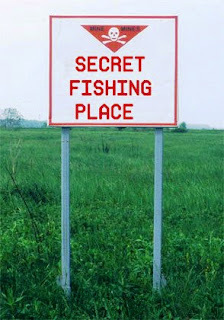 .. Don't get your knickers in a bunch as you hurry to take advantage of the best kept open secret of the current weekend. .. Yesterday gave forth with some perfect Spring weather. 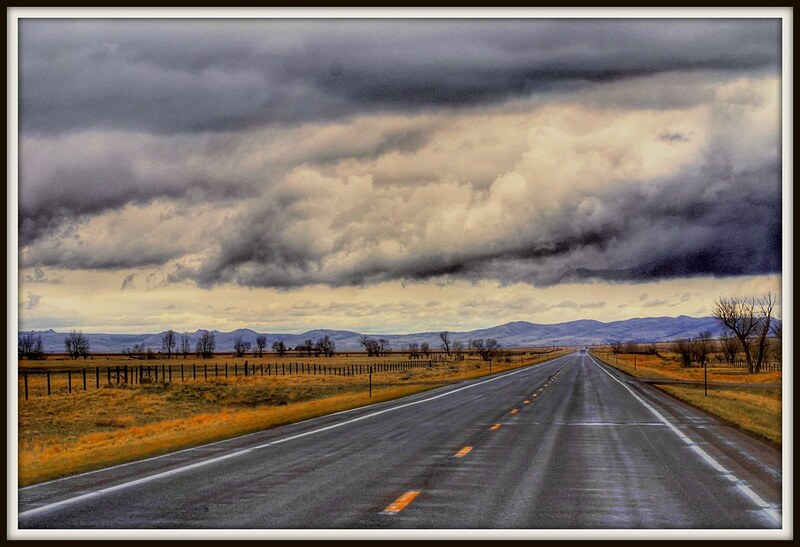 Snow, Hail, Graupel, and wind treated the high country while the lowlands enjoyed gray wet skies, variable breezes, occasional mixed precipitation, and stray beams of sunlight. .. Who could ask for anything more? Certainly not the bugs or pub owners! .. There's no mystery here. Grab your spring fly box and head to the lowland river near you. Streamers will gather the big fellas on all the waters. Plonk them down and retrieve with rapid and intermittant strips. Three or four - wait - three or four more - you know how. 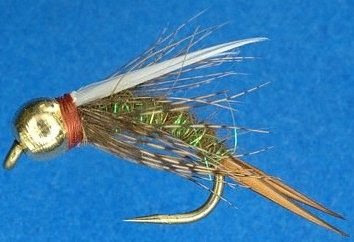 .. On top and in the film you can pick your favorite spring mayfly. 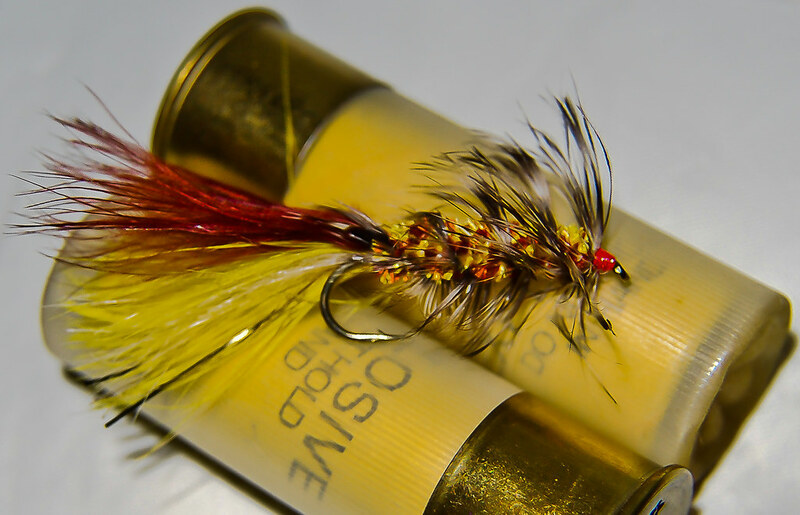 For the stealthy back eddy fisher there are midges galore and for those that would like to guess when the fish strikes, a bead head anything will grab the maw of trout in deep dark slicks and shadowed riffles. We don't say it often but, it's hard to miss right now. .. Rubber pants and fingerless gloves seem to be de rigueur for the moment. The blustery weather can numb your various appendages rather quickly, (with all the catching to be had comes the attendant releasing.) For some appendages there's no suitable muff, however. .. Tomorrow is another day. Back at it. The appendages have thawed.